Anyone who watches cooking shows knows many different kitchen utensils are often used. One item in a kitchen that is very versatile, but gets little respect is a cheese grater. This is a simple tool you can use for many different tasks based on the particular need. Many cooking programs often have the host using a grater to zest lemons, limes, or oranges. A cheese grater is typically used for this process. A grater is also used to grind fresh herbs. The size of the grater will be important. You can use a grater that has multiple sides based on the results that are needed. Any type of cheese grater can be used to grate food, or other substances that are semi-soft. A grater can also be used on food that has been frozen. This includes pieces of ice or even butter. 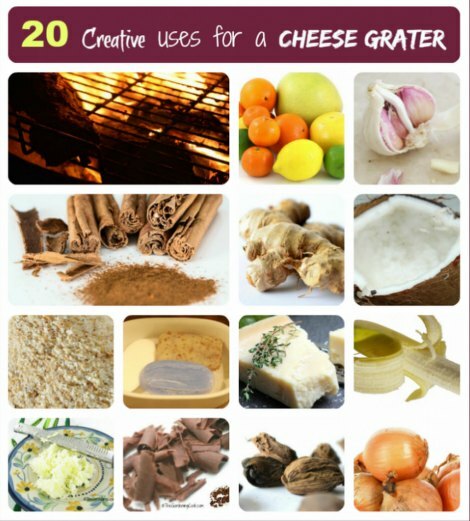 After checking out this list, you may see that a grater is a great tool to have in the kitchen.